As the lights dim and the fire dwindles, a sinister song in perfect pitch curses all who hear its tormenting tempo. 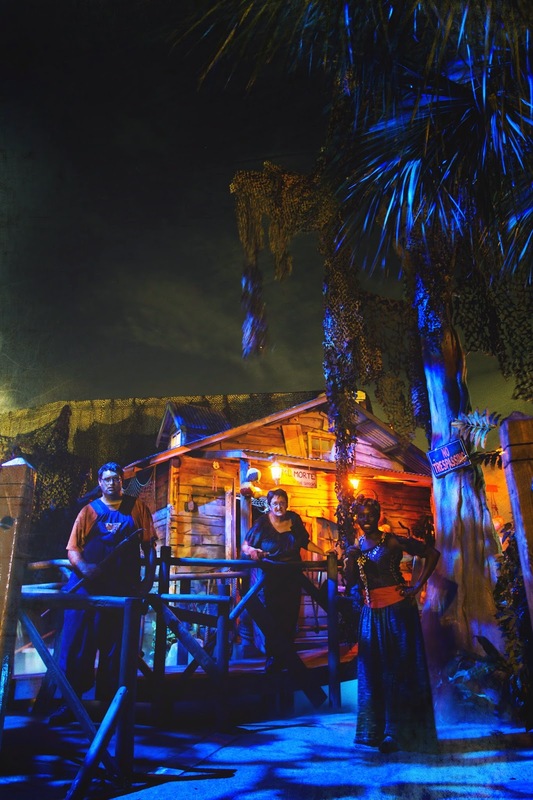 Survive the curse this fall, for 18 select nights, as Howl-O-Scream® 2014 returns to Busch Gardens® Tampa with unexpected terrors around every corner. Freaky Preview returns this year with Howl-O-Scream 2014’s opening weekend on Friday and Saturday, Sept. 26 and 27. The event then runs Thursday through Saturday nights, Oct. 2-Nov. 1. Howl-O-Scream will also be open on Sunday, Oct. 19. Operating hours are7:30 p.m. to 1 a.m. for all event nights. Hundreds of undead creatures emerge from the shadows and lurk throughout Busch Gardens as paranormal terrors keep your pulse pounding with an all-new haunted house, roaming slash mobs and more, including a brand new interactive experience that tests your skills and places you in the sights of an undead mob. Even more excitement awaits you on some of Florida’s top thrill rides, including North America’s tallest freestanding drop tower, Falcon’s Fury™. NEW! Dead Fall – The ghosts of long lost memories reach into the present and will NOT be forgotten! These spirits from the past lurk in the shadows of this Victorian garden and greenhouse, longing to drag unsuspecting guests into their world. NEW! 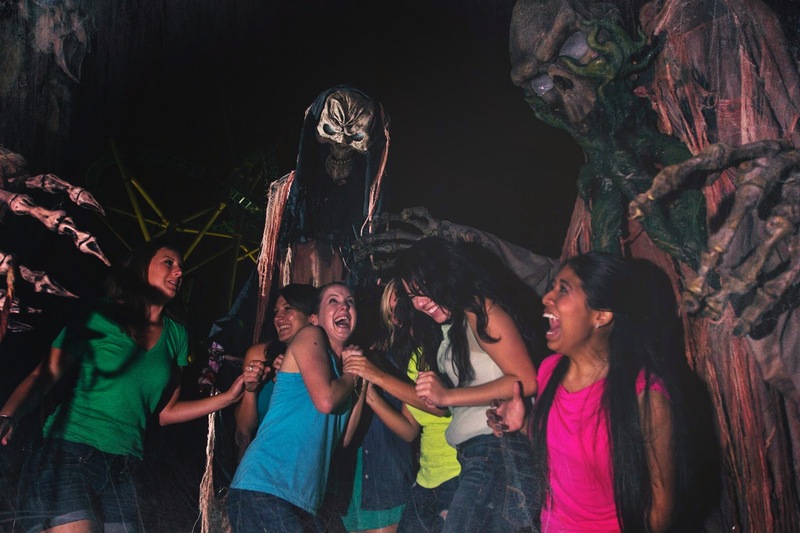 Slash Mobs – Even sidewalks aren’t safe from roaming slash mobs creeping throughout Busch Gardens’overgrown 300 acres of fright. NEW! 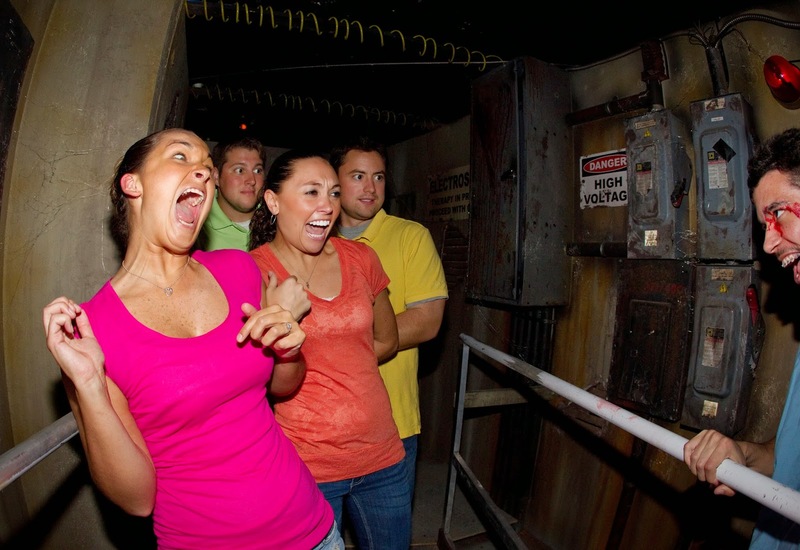 Cursed Front Gate Experience – The curse begins from the moment you enter the terrorizing gates of Howl-0-Scream 2014. There’s no escaping the evil spirts or spine-chilling song that seeps from the old music boxes and radios, cursing all who hear it. The only way to silence the curse is to survive the night with undead creatures and paranormal terrors. Death Water Bayou—Deep in the bayou the Voodoo Queen mystically transforms lost wanderers into her minions of evil with black magic. Here, her night servants roam with a zombie-like hunger and seek to grow her collection. The darkest evils lurk in shadows. Get out before you fall victim to her spell. The BASEMENT—From Momma’s secret ingredient to Granny’s bone-ground flour, Momma’s Meats’ award-winning recipe has always been a family affair that’s only created in the BASEMENT. Escape the depths of the BASEMENT before she turns you into the secret sauce! She always said it took blood, sweat and tears! Circus of Superstition: The Final Act—You’ve tried to avoid black cats and sidewalk cracks, but all those years of bad luck caught up with you! 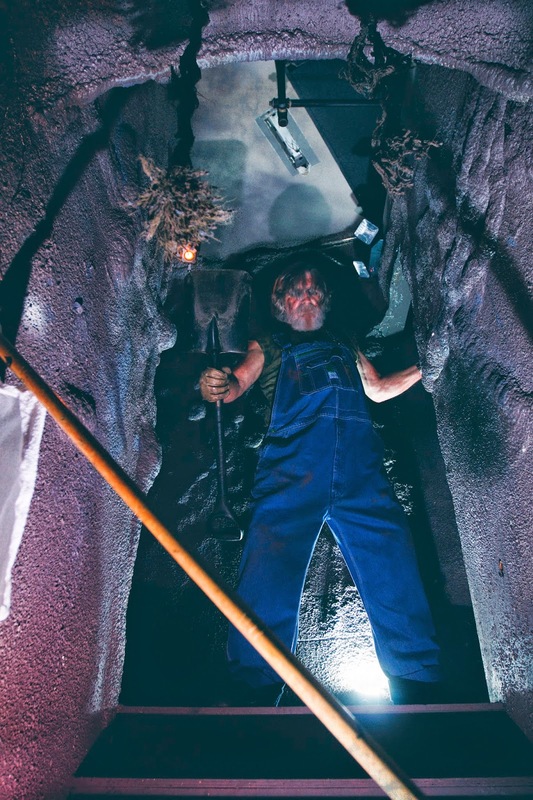 Surviving the terrorizing surprises of Circus of Superstition: The Final Act will take more than luck as you try to escape this whole new dimension of fear. Blood Asylum—As lightning rages and thunder crashes outside, “The Creature” escapes from his holding cell in a high-security asylum for the criminally insane. Now this sadistic deviant is running rampant, skinning his former cellmates and turning the mental hospital into his own torture chamber. This serial killer’s bloody playground will drive you out of your mind with fear. Zombie Mortuary—No one remembers how the epidemic started, but now, the undead terrors infest this small town funeral home and feed on the fresh flesh and brains of mortuary mourners to satisfy their insatiable hunger. Avoid the walking dead or you may find yourself deeper than six feet under. The Experiment— Researchers have devised some new ways to challenge your fear tolerance and mental endurance in this interactive Experiment. “Test subjects” endure psychological tests in this exclusive study, pushing the limits of the human body and putting them face-to-face with their worst nightmares. How far is too far in study of fear? Will you survive The Experiment? Note: The Experiment is a unique, interactive experience that challenges your threshold for fear for an additional fee. Reservations are required, and each reservation can accommodate you and up to three additional “test subjects.” Pass Member discount does not apply. 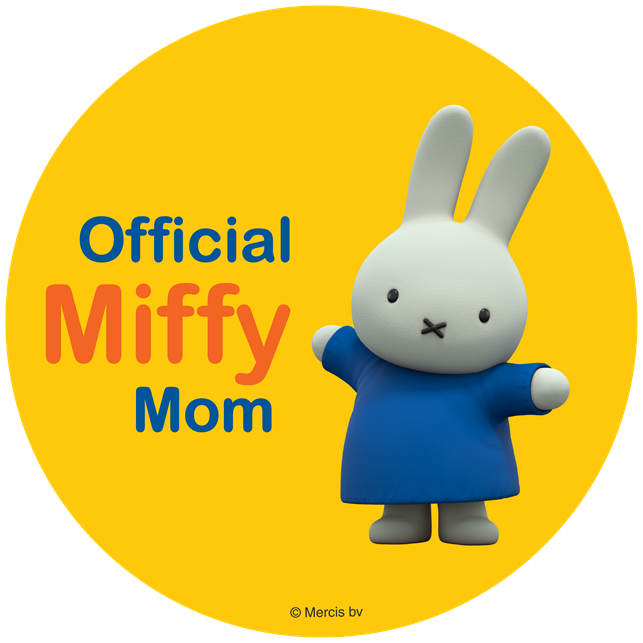 Not included with any other VIP tour or upgrade product. Howl-O-Scream 2014 admission is required, but not included. The Experiment admission for the first test subject starts at $50. Each additional test subject is $10. After braving bone-chilling coasters in the dark, such as Cheetah Hunt, SheiKra, Montu, Gwazi and Kumba, you can catch your breath at Howl-O-Scream’s signature show, Fiends, or keep the party going all night in Howl-O-Scream’s signature club and shops. Fiends— Is there a doctor in the house? Dr. Freakenstein and his naughty nurses will infect you with dance fever and keep your pulse pounding with their deranged dance party. 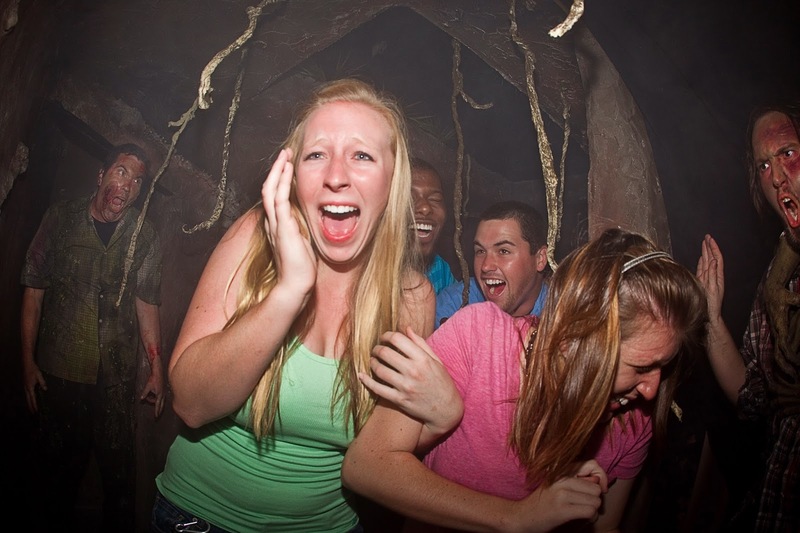 Club Cursed™ – Drive yourself mad partying at Howl-O-Scream 2014’s dance club. Sample Howl-O-Scream’s signature potions “Cursed,” “Contained,” and “Possessed,” along with craft brews at the full-service bar, and keep the energy pumping all night with a DJ, non-stop music. Howl-O-Scream Shop of Horrors—Find GOREgeous apparel and trendy tees featuring Howl-O-Scream favorites. You can also purchase or pick up your Front Line Fear Passes here. Amp up the fear with evil upgrades that are sure to elevate the sinister surprises and tormenting twists that Howl-O-Scream has in store. 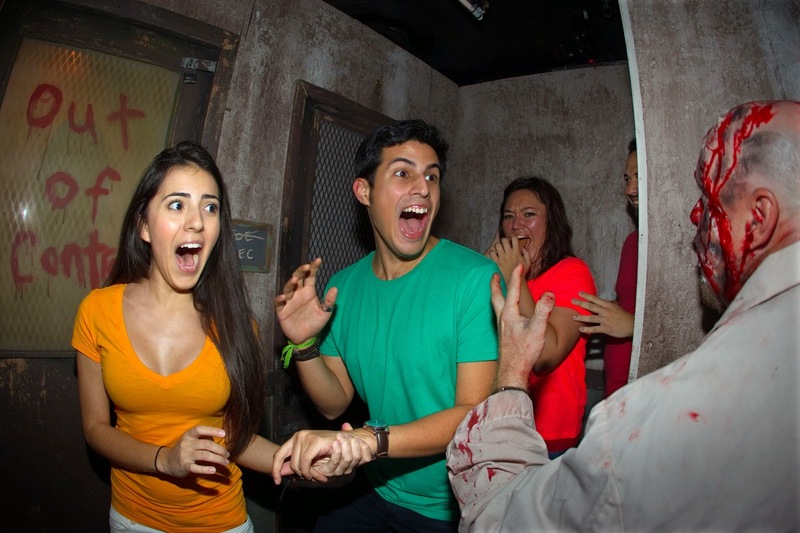 VIP Tour Packages – Take advantage of the best way to see Howl-O-Scream 2014 with all-inclusive VIP Packages, which include event admission, a tour guide and your choice of three levels of terrifying special treatment. All tours include commemorative photos, merchandise discounts and complimentary beverages, including beer, water and soda. 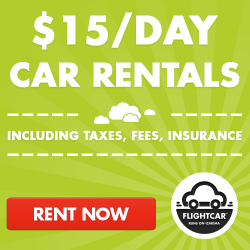 Packages start at $99, and pass member discounts are available. Front Line Fear Passes – For those who prefer to self-guide themselves through the event, but want the front-of-the-line perks, there’s the Front Line Fear pass starting at $45, which grants no-wait access to six houses, excluding The Experiment. The Front Line Fear Extreme pass ups the access and also lets guests skip the line at five freaky coasters starting at $55. Fright Feast – Devour monstrous main courses and devilish deserts from a buffet and witness an exclusive performance of Howl-O-Scream’s fan-favorite show, Fiends, at Pantopia Grill. Then, be the first to brave the dark with a half-hour of early access to the haunted houses and front-of-the-line privileges until 8:30 p.m. Fright Feast is $26 per person, with group rates and discounts for Pass and Fun Card members available. NEW! This year, purchase your admission and Fright Feast together for Friday nights for just $75 on HowlOScream.com. Whether you’re facing your fears over and over again with The Wild and Wicked Weekend Pass, or visiting from out of town with the Overnight Fright Package, exclusive ticket offers and vacation packages await you for the ultimate Howl-O-Scream experience yet. 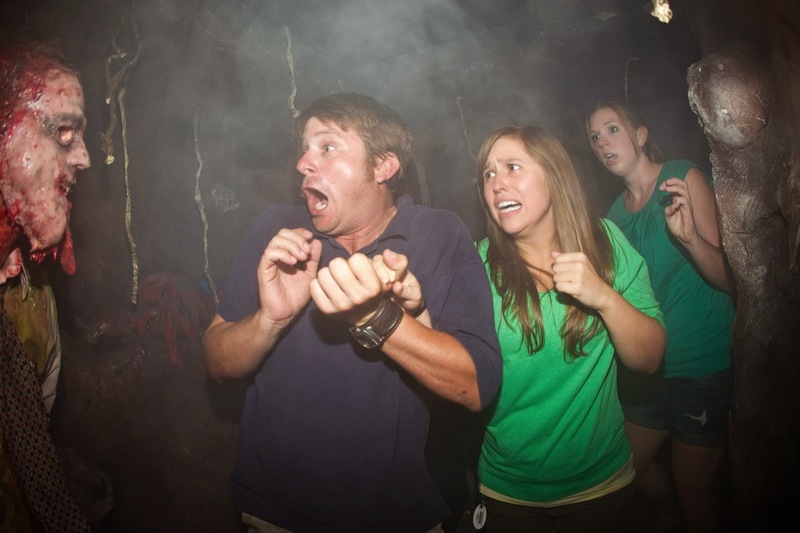 Howl-O-Scream 2014 is a separate ticketed night event. No costumes are allowed. For guest information, visit HowlOScream.com or call 1-888-800-5447. For media inquiries contact Busch Gardens Public Relations at 813-987-5090 or BGTPublic.Relations@BuschGardens.com. Use #howloscream and follow Howl-O-Scream on Facebook, Instagram, Twitter and YouTube to learn about promotions and insider information first.